Mine was a young and foolish mind then, thought the world and all in it is against me. My father got transferred to Coimbatore; it was his third transfer since I started my school day. I was enrolled in a new school there, my fourth school. New school, lot of new faces and the only thing familiar as usual was the books. There I met him, he became my best friend and now I hate him the most. He came to me, stood beside me, talked to me a lot and it seemed that we both had the same view towards life. I started talking a lot too, about me, about the world around me and how it’s unfair. I trusted him, he listened to all of it silently but little did I know about what he was doing behind my back. I fell for his act of friendship; he is a good actor or maybe I didn’t take the time to notice. When I started to notice, he had a cunning face and it carried an innocent looking smile which tricked many. The simplest but most effective way of deception, a well disguised smile. He clouded my mind and it took me time to see beyond it. He stood beside me, told badly about me to others and of them to me. A person, who cares for none and finds joy in making everyone around him wrangle. He created doubt in my mind and made me stand alone among my classmates. One can deceive all for some time but can’t forever, so I finally woke up and now I detest even hearing his name. He resembled a two headed snake, one head grown where its tail should be, clung deep into my mind with his sharp white fangs, poisoned me and all around me. I don’t know where he lives or what he does now? He may be doing the same to others, poor souls who think he is their friend. I may forgive others who have done worse to me but can’t forgive him as he corrupted a divine bond, the bond of friendship. Why he did this to me, I don’t know and I don’t want to know. I trusted him blind, thought he was my friend and that was the only wrong I did. It hurts to be betrayed, doesn't it? In the end, if you can let go, you will feel happier. His end will be what he deserves - and you will want to walk free. It's a long process - but it will be worth it! The fact is that this post is lot fictional than personal, But I do had friend like this but i forgave him long before. Thanks man, I do agree with you. 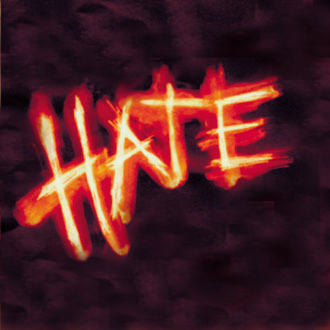 Carrying hatred hurts the carrier not the target! Why become the victim? Let him go, let the feeling go ... free yourself from that burden. I am sure you have heard the story about the Zen Master who was walking along a path with a disciple. They soon reached a river and started crossing it by wading through the water. It was then they noticed a charming young lady who was hesitating on the shore - she too wished to cross but was afraid of the water. The Zen Master calmly went up to her and offered to give her a "lift" ... he carried her to the other shore. Dropped her there and then continued his journey. After that event the disciple seemed distracted and in a state of agitation. After a while he could contain himself and asked the Master - Haven't we monks taken the oath of celibacy and promised to live a clean life? Master - Yes, we have. Disciple - How come then you touched that young lady back there and carried her across? Master - I dropped her on the bank of the river but you are carrying her even now. The Master gave that act no meaning other than helping a fellow human, but the disciple was reading too much into it and suffering agonies. I can relate to this incident, as such things have occurred in my time and again, though I too have learned my lessons!! This friend will always be stuck with his duplicity and like you, nobody will stay his friend for long. You, on the other hand, have the power to drop him and do what the others have said - move on. Happens... People aren't always as they seem. But, life goes on.